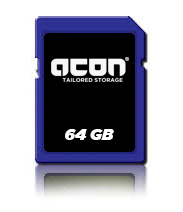 acon Industrial/Automotive Secure Digital 3.0 card is one of the most popular cards today based on its high performance, good reliability and wide compatibility. Apacer Industrial Secure Digital 3.0 card is ideal for its high performance, good reliability and wide compatibility, not to mention that it’s well adapted for hand-held applications in semi-industrial/medical markets already. 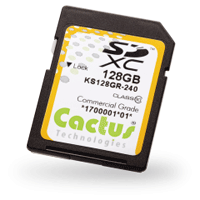 The Cactus Commercial Grade MLC SD cards have life cycles in the 18-24 month range. For longer life cycle OEM system requirements, Cactus can review the application with the OEM and possibly extend this life cycle range. These MLC SD Cards have Locked BOM (Bill-Of-Material) signifying there will be no changes to controller silicon, NAND silicon or firmware without notification. 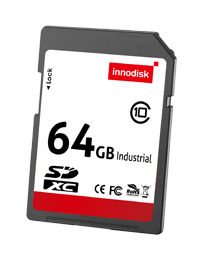 Innodisk industrial SD card 3.0 series are specifically designed for industrial PC and embedded applications. 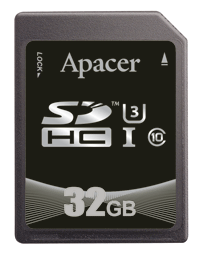 The 3.0 series SD card has latest firmware architecture and Flash algorithms, including superior wear leveling, read disturb management, and power fail management ensuring highest reliability and endurance. 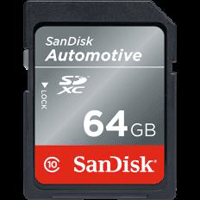 SanDisk® automotive storage solutions are built to meet the intense reliability, quality and temperature demands of the automotive market. All of our automotive solutions are AEC-Q100 certified. With advanced memory management firmware features including enhanced power immunity, read refresh, ECC, wear leveling and “Smart” features including memory health status monitor, one time programmable (OTP) ID, host-lock. 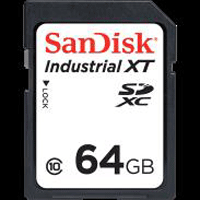 SanDisk Industrial SD™ and microSD™ cards deliver edge storage solutions for industrial applications requiring high reliability, durability, and high intensity recording, across a wide range of operational requirements. Applications including surveillance cameras, transportation, Industrial IoT gateways, factory automation, and network equipment can now take advantage of a powerful suite of features. 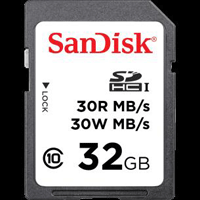 SanDisk understands portable memory. We co-invented the SD card format, and have shipped over 3 billion cards to businesses and consumers around the world. We combined our years of experience with the stringent demands of OEMs to develop card solutions that meet a wide range of performance and operating requirements.